These muffins are by far the most moist and delicious banana muffins I've ever had. 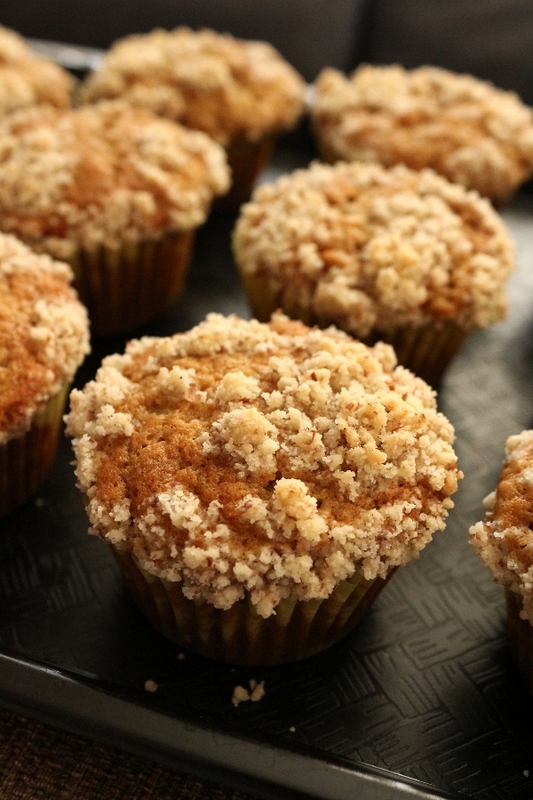 Although I would typically place corn muffins on the pedestal of my favorite muffins of all time, these banana muffins just may take over that spot. First of all, I have made over half a dozen recipes from the Bouchon Bakery cookbook, and each and every one has been outstanding. I can't say a single negative thing about the tasty results for all of the recipes I've attempted (except for maybe the macarons, which by nature can be difficult to master). The banana muffins are the second muffin recipe I have made from the book, the pumpkin muffins being the first, and in both cases they have skyrocketed to the top of my list of favorites. 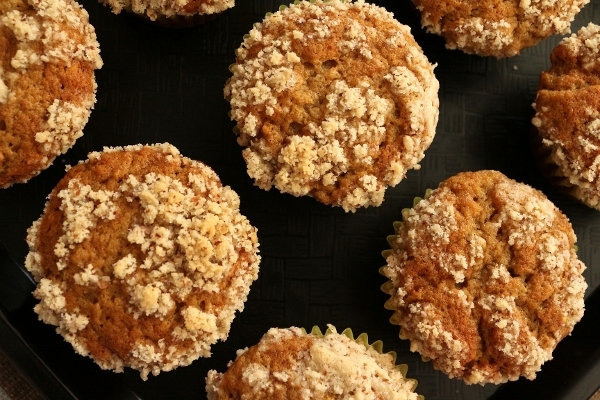 One thing that really helps these muffins retain such a moist and tender crumb is the fact that the batter is made in advance and then refrigerated at least overnight. 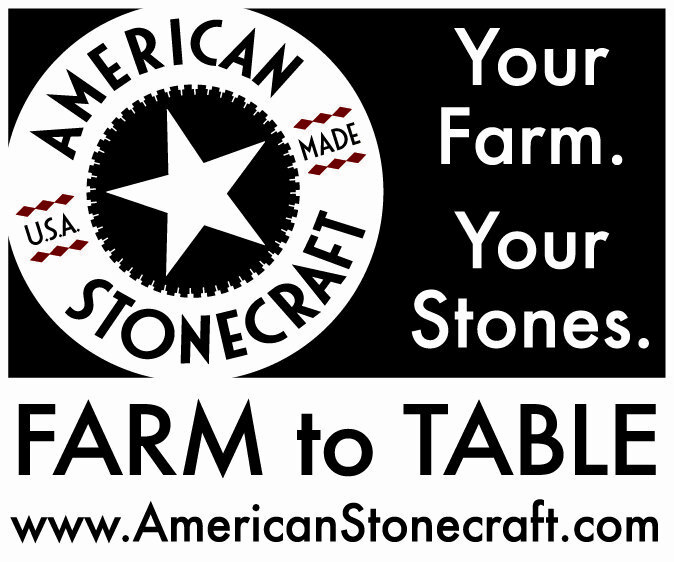 This allows the flour to fully saturate before baking. Even though I used all-purpose flour instead of cake flour (I was all out), these were still outstanding in my book and I can't wait to make them again. They are mildly buttery, super moist and flavorful, with a delicate sweetness and not-too-overpowering banana flavor. The recipe calls for a walnut streusel for topping, but I actually created an almond streusel instead using almond flour/meal I already had on hand (no need to finely chop/grind up walnuts). 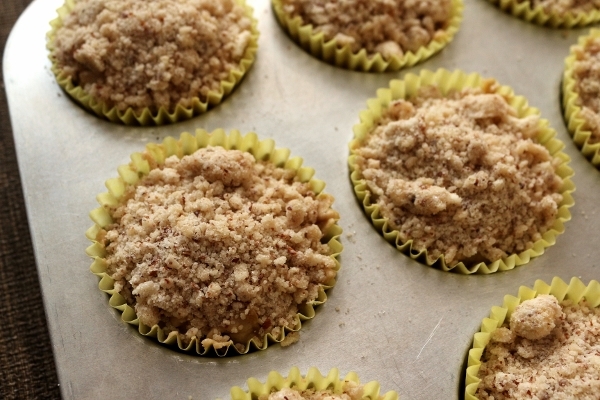 It yields a nutty, sweet, and crunchy topping on an already fantastic muffin. Additionally, the original recipe creates 6 jumbo muffins. Although I have the appropriate pan and paper liners, I decided to forego that option and instead bake off 12 standard muffins for smaller portions. I have made notes in the recipe in case you'd like to go that route instead. 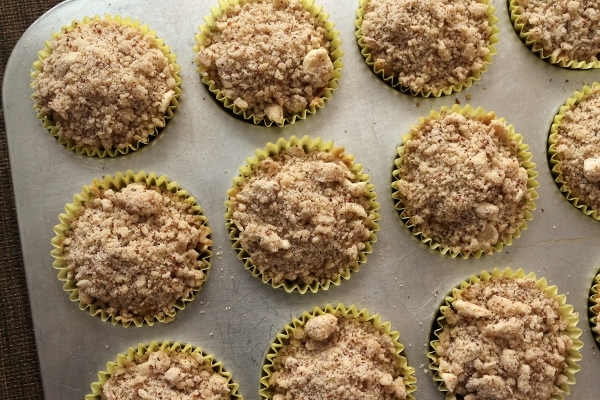 In any case, these banana muffins are my new favorite banana breakfast treat. Banana bread, move on over. There's a new star in town. For the muffins: sift the flour, baking soda, and baking powder into a medium bowl. Add the salt and whisk together. Place the butter in the bowl of a stand mixer fitted with the paddle attachment, turn to medium-low speed, and cream the butter until it has the consistency of mayonnaise. Add the sugar and mix for 1 to 2 minutes, until fluffy. Scrape down the sides and bottom of the bowl, add the eggs and vanilla paste, and mix for 15 to 30 seconds on low speed, until just combined. Add the dry ingredients in 2 additions, mixing on low speed for 15 seconds each, or until just combined. Scrape the bottom of the bowl to incorporate any dry ingredients that have settled there. Add the creme fraiche and banana and mix on low speed for about 30 seconds until just combined. Transfer the batter to a covered container and refrigerate overnight, or for up to 36 hours. 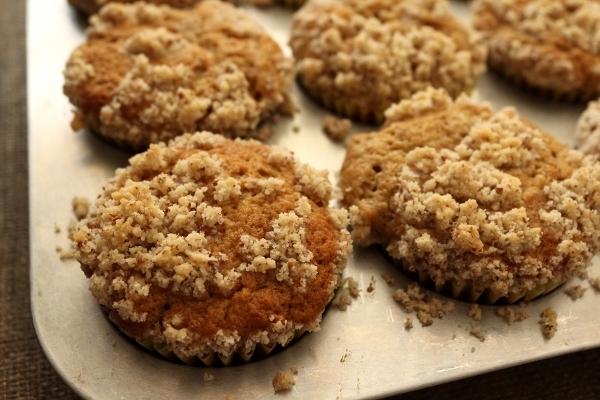 To make the streusel topping: combine all the ingredients except the butter in the bowl of a stand mixer fitted with the paddle attachment and mix on the lowest setting. Toss in the butter and mix on low speed for about 1 minutes, or until the butter is incorporated, with no large chunks remaining. (Alternatively, cut the butter into the flour mixture by hand like you would with pie crust or scones--this is what I did). To bake the muffins: Preheat the oven to 425 degrees F. Line either a standard muffin pan with 12 muffin papers or line a jumbo muffin pan with 6 jumbo muffin papers. Spray the papers with nonstick spray. Spoon the batter evenly into the papers (I used an ice cream scoop), stopping 1/2 inch from the top (133 g each for jumbo muffins and about half that for standard muffins). 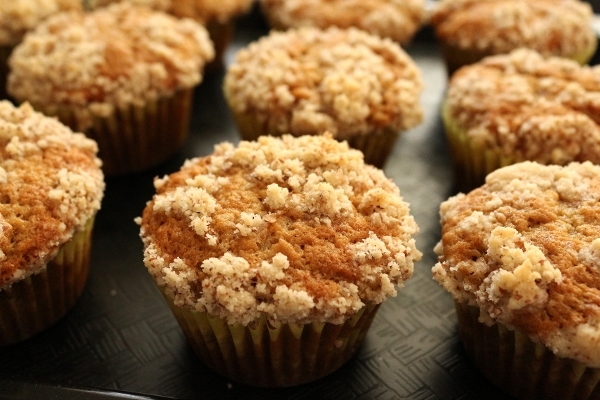 Sprinkle 30 g/3 tablespoons of the streusel topping on top of each muffin for jumbo muffins and about half that for standard muffins. 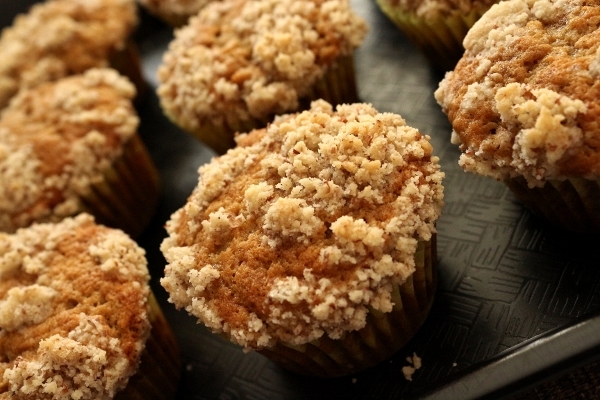 You will have some leftover streusel topping, which can be reserved for another use. Place the pan in the oven, lower the temperature to 325 degrees F, and bake for 35 to 38 minutes for jumbo muffins or 29 to 32 minutes for standard muffins, until the muffins are golden brown and a skewer inserted in the center comes out clean. Set the pan on a cooling rack and cool completely.